My father ran his own home maintenance and restoration business for 35 years, so I grew up in the contracting business and put myself through college restoring, renovating and maintaining old houses. I have also built new houses from the ground up including: installing underground plumbing, wiring, framing walls, doors and windows, roofs and building staircases. I have an Associates Degree from Macomb Community College, a Bachelors Degree from the University of Detroit and a Masters Degree from Wayne Statee. 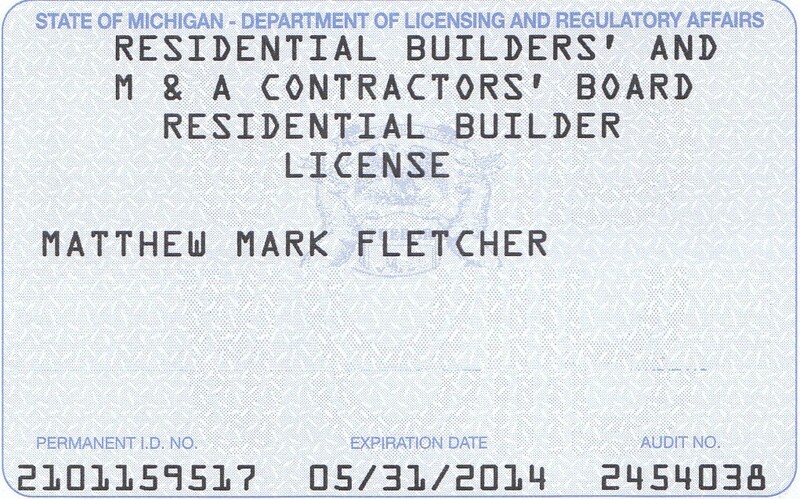 I have my Builder's License, click here to see my license. Today I am a home inspector, licensed builder, certified teacher and have taught building and construction trades at a local high school where we build a real house with our students. Click here to see photos. I am also a chapter member of the National Association of Home Inspectors (MI-NAHI.org) and attend monthly meetings to stay current on the latest industry standards. When I am not inspecting or teaching construction, you can generally find me knee-deep in my own restoration project. Click here to view the numerous before and after photos of houses I have personally restored and built. The knowledge I have can only be gained through years of hands-on experience taking old houses apart and putting them back together again. I have been quoted by real estate author and Harvard MBA John T. Reed (johntreed.com) in his monthly newsletter and two of his books, Deals That Make Sense and How to Buy Real Estate for at Least 20% Below Market Value. I am also the subject of THREE STORIES by attorney and real estate INVESTOR Rob Hill in his BEST SELLING book, What No One Ever Tells You About Investing in Real Estate : Real-Life Advice from 101 Successful Investors. I am currently writing my own book on the home inspection business.